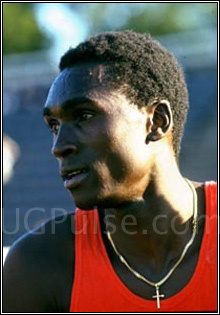 The aphorism that, a lion does not die but just rests, suitably describes Uganda’s golden Olympic legend John Akii-Bua. 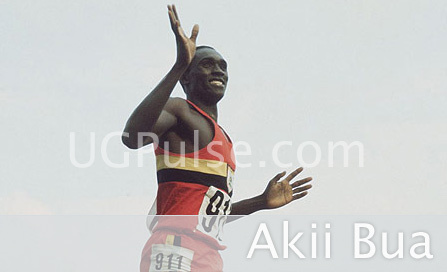 UGPulse’s Kasozi Ramathan writes that it’s now 14 years ever since he passed away but the name Akii-Bua remains a household name in the world of sport in general, Africa and Uganda in particular. Akii-bua is famously known in the world of athletics sport for having scooped a gold medal in the 1972 Olympic Games in Munich- Germany. In addition to arriving at the finishing podium first, Akii-Bua set his own world record in the 400 meter hurdles, clocking 47.82 seconds. 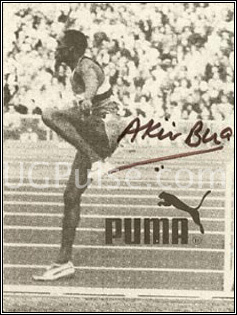 Akii-bua started his career in athletics at a tender age of 17 as a hurdler in short distances before his British born coach, Malcolm Arnold, elevated him to the 400 meters where he gained his fame. It has been said that before the Munich Olympic games of 1972, Akii-bua was too inexperienced and very few expected him to put up such a magnificent performance. Prior to the Olympic games, Akii-Bua's only achievement was finishing 4th in the 1970 Common Wealth Games. He only relied on his six months strong training programme that was designed for him ahead of the games. His training package included wearing a vest weighing close to 10 kilograms and he would run 1,500 meters over five hurdles that were 42 inches high with which he trained twice daily. Former Uganda Police Sports Officer, Godfrey Mairu, however recalls that Akii-bua once broke a world record while training at Wankulukuku but the World athletics governing body, IAAF declined to recognize it suspecting poor timing gargets used by his trainers. Mairu says that during that era , the 400 metres hurdles category had been dominated by Dave Hemery from Great Britain who was then a world record holder and American, Ralph Mann. The duo was far well prepared and well facilitated before the Munich Olympic games compared to Akii-Bua. Against all odds, Akii-Bua surprised every one, including himself, when he out paced both Hemery and Mann to win the gold medal. Its shocking that Akii-Bua did run in that race with boots that were over 2 years old and with two spikes missing. On return home, as national hero, he was accorded with a red carpet reception at Entebbe Airport and the government under the leadership of Field Marshal Idi Amin Dada rewarded his efforts with a well furnished self contained house at Kamwokya, a suburb of Uganda’s capital City of Kampala. However, Akii-Bua was unfortunate in that he never had a chance to defend his title in the 1976 Olympics organized in the City of Montreal following a boycott by the African Nations. When he returned to the 1980 Moscow Olympic Games, age had caught up him. This was in addition to the political turmoil that was in the country that impacted negatively on Akii-Bua who did go past semi-finals. Under normal circumstances, one would expect such triumph to be a turning point in a life of any one more especially under the reign of Idi Amini, a man who is known for his participation in Ugandan sports. 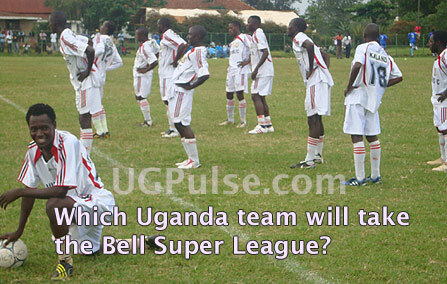 It is during the regime of Amin that Uganda is said to have reached higher heights in sports. However it wasn’t the case for Akii-Bua as life seems to have turned sour for him. The popularity that Akii-Bua gained after the games did more harm than good as it just created an adversarial relationship between him and the government. The fact that Idi Amin was at logger heads with the Langi tribe, which is where Akii-Bua came from, turned the situation from bad to worse. 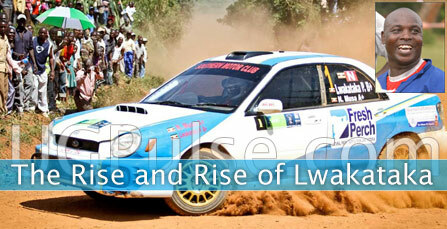 Sooner than later, the government restricted his movements before it eventually barred him from travelling with his family across borders of Uganda while taking part in any competition. The situation reached its apex in 1981, when Akii-Bua himself was barred from flying to Germany for a special training program that was organized for him by the German Athletics Federation. The late 1970’s turbulent political period that resulted in the fall of the regime of Amin following an attack launched by a combined Tanzanian Armed Forces and Ugandan exiles turned to be a blessing to Akii-Bua as he managed to escape from the country and look for asylum in Kenya. On a directive of Amin, Akii-Bua was however jailed in Kenya for over a month and on his return to Uganda he found five of his brothers and a sister massacred. Their house had also been completely destroyed and all the property looted... including his much treasured Olympic gold medal. With that, Akii-Bua found it necessary to flee the country to Germany where he lived until 1983. Akii-Bua, born December 3rd, 1949 was at the time of his death a Senior Superintendent of Uganda Police but like any other Ugandan sports legend such as soccer guru Phillip Omondi, Akii-bua died in a miserable life visa-a- vis his contribution to his country. He passed away when he was a widower with 11 children. Since having his last breath on 20th, June 1997, many great talents in the Ugandan sport of athletics have emerged including Common Wealth double gold medalist Moses Kipsiro, Ugandan ‘gazelle’ Dorcus Inzikuru and Boniface Kiprop among the current crop of prominent athletes but none is yet to comfortably fill in the boots of Akii-Bua . Thus, even after his death, the legendry name - AKII-BUA is still a household name,not only in Uganda or Africa, but world wide.